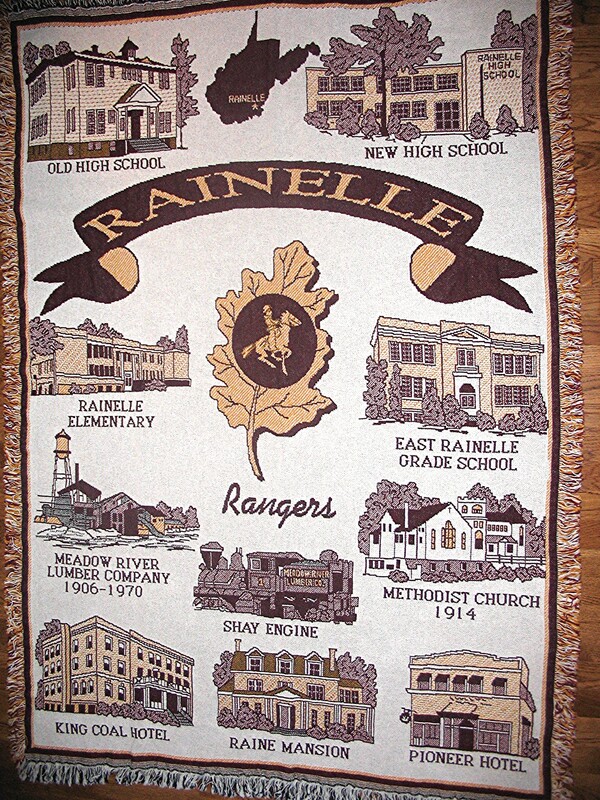 Rainelle Reunion 5 (2010) are now available - see below. Rainelle Reunion 4 July 2007 - Set 1 by Dale, Set 2 by J.W. Puckett, Set 3 by J.L. Holsberry, Set 4 by Evelyn Utterback Drake, Set 5 by Erik Keister, Set 6 by Charles Tuck, Set 7 by Kenneth Napier, Set 8 sent October 3, 2007 by Garvin and Jewel Brown Smith. See the Discussion Board for more detail. 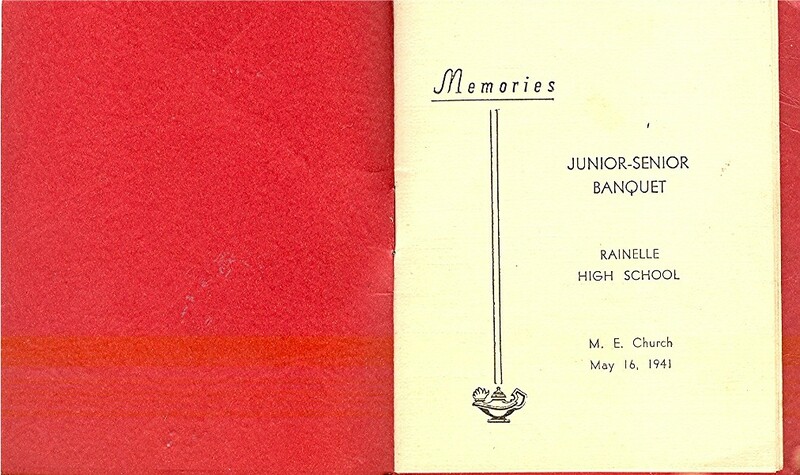 - A newspaper extract about the reunion "Rainelle Alumni Visits Memory Lane", scanned by Gerry. October 1, 2007 - The Reunion 4 Booklet Class Photos taken by Mrs. Meadows and the Cardinal Photographics and other photographers - scanned by Gerry. October 1, 2007 - The Hometown Hero Award presented by the Greenbrier County Convention and Visitors Bureau. Please see the Class Pages to view photos of a particular year. 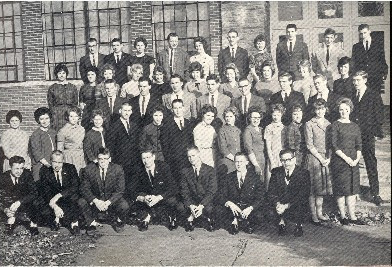 3-6-07 - Class of '65 - 40th Reunion sent by Ann Womack 65 - Also included are some teachers -- Mr. and Mrs. Bob Zopp; Mr. and Mrs. Don Smith; and Mr. Anderson. 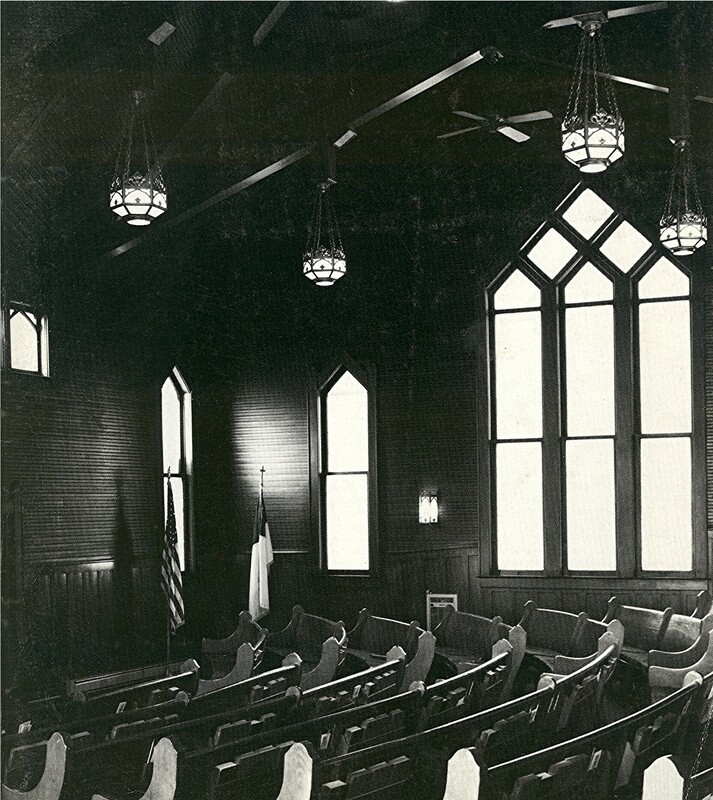 The Discussion Board has numerous historical photos, along with explanations. 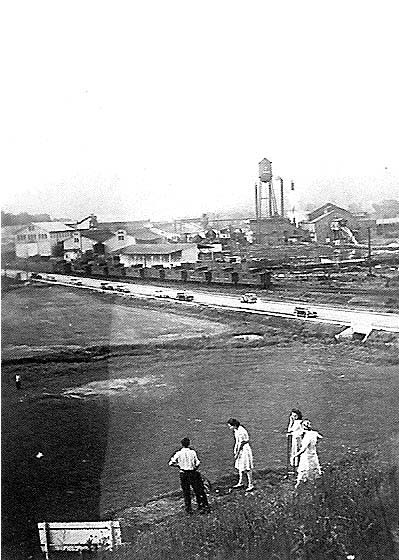 They include the King Coal Hotel and Rainelle Department store being torn down and more..
See the Memories page for 60's and antique car photos. 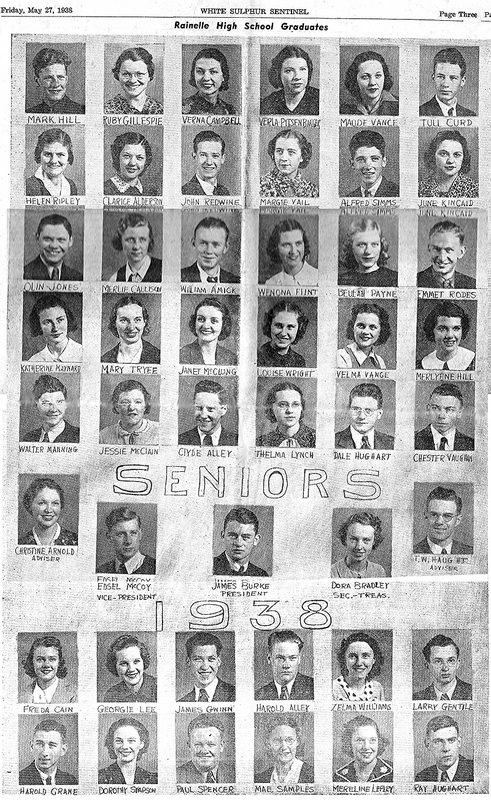 2-26-06 Class of '38 and spouses taken in 1968 at the Pioneer Hotel. 3-1-06 - Current photos of the Chessie caboose by Andy Aide Pendleton 64. 3-1-06 - Wonderful photo of the Shay Engine (and another) taken in the 1950's - 1 2 3 forward by Harold Ivers. 3-6-06 - Photos from Kenneth Napier 52 - Some are from post cards, others are older pictures, and a few are Kenneth's own shots. 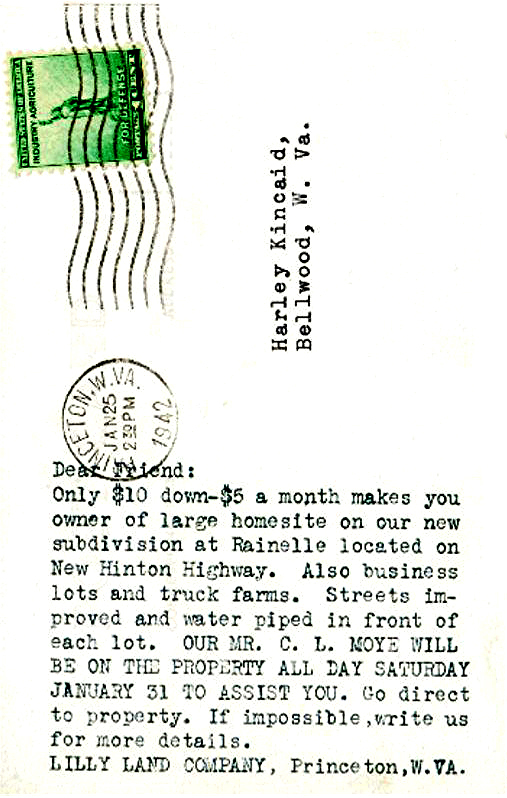 3-7-06 - Photos of Rainelle businesses from '57 yearbook ads. 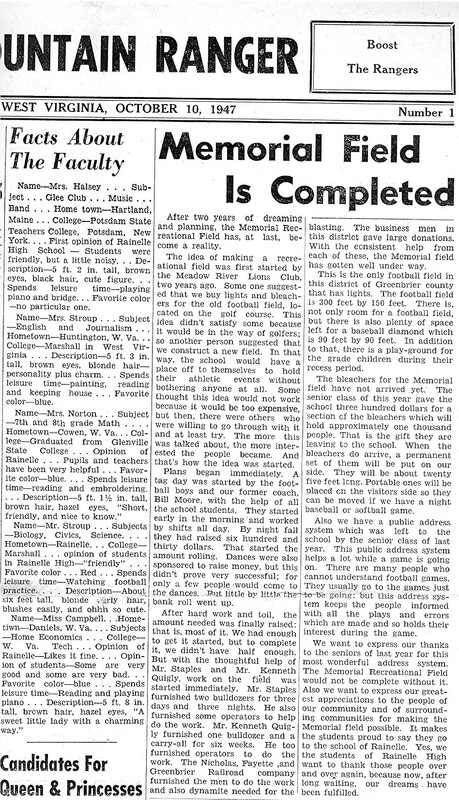 6-21-06 - A 1947 Mountain Ranger article that discusses the development of the football field - an impressive community effort. 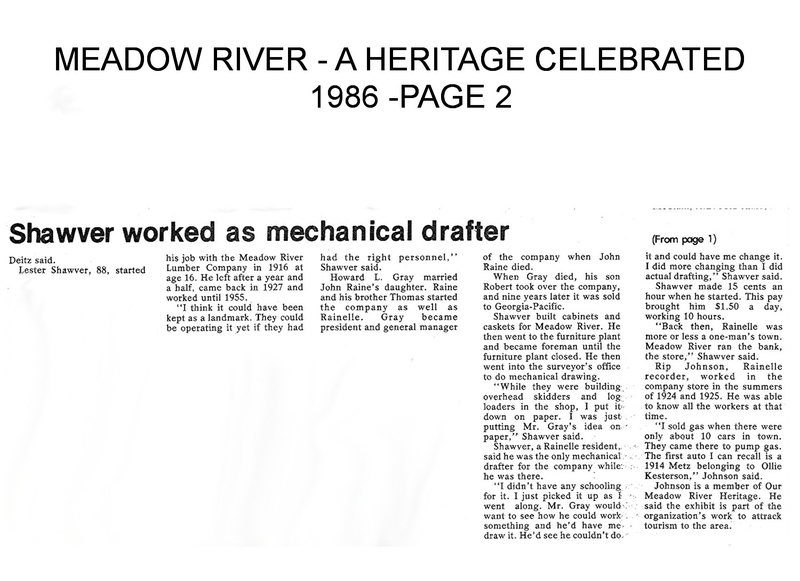 7-3-06 - Photos loaned by Terry Clower, Scans and Comments by Gerry Mitchell. 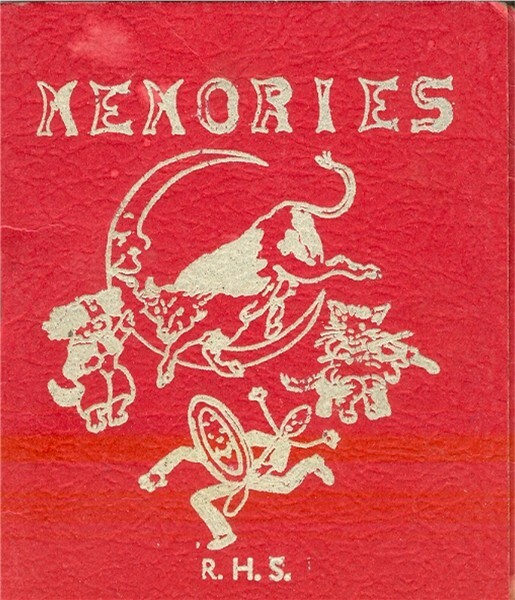 They can be viewed as originals below or can be viewed as a Kodak slide show. 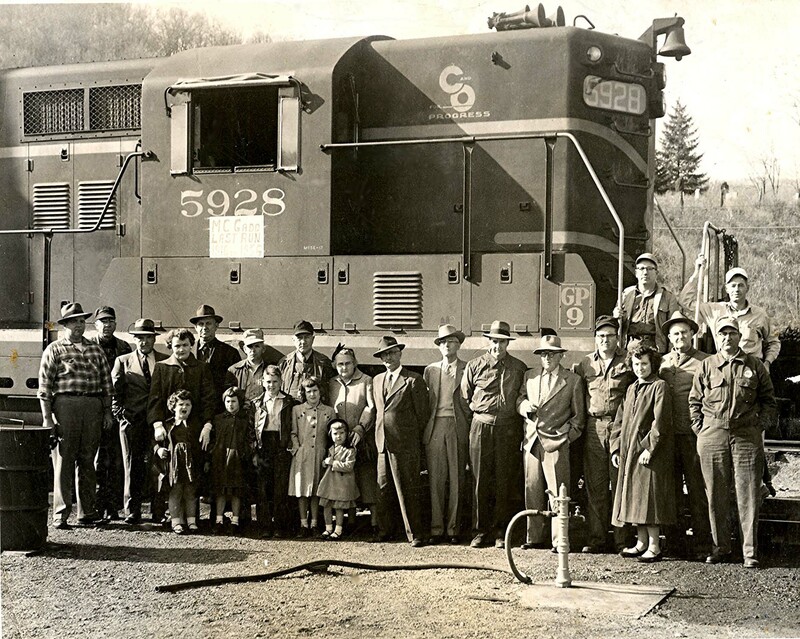 A PICTURE OF A C & O RAILROAD ENGINE WITH A LOT OF LOCAL RAINELLE PEOPLE STANDING IN FRONT. 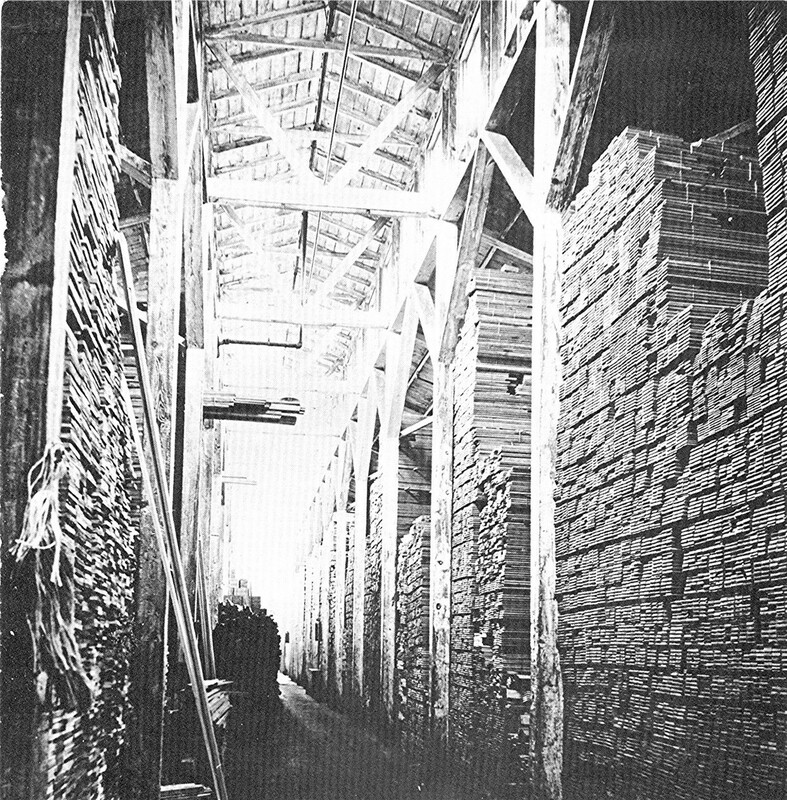 THE PICTURE IS DATED, NOV. 1956. 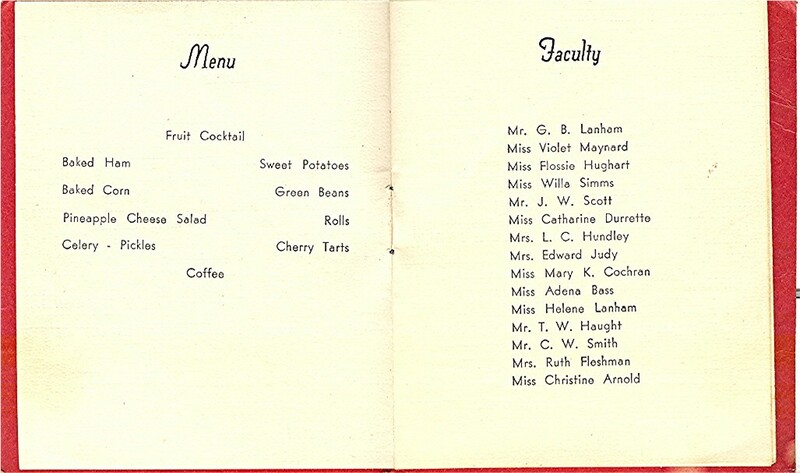 SUCH PEOPLE AS RC BISHOP WHO WAS A C AND O SUPERVISOR AND HUBERT BUSTER WERE AMONG THE PEOPLE SHOWN. 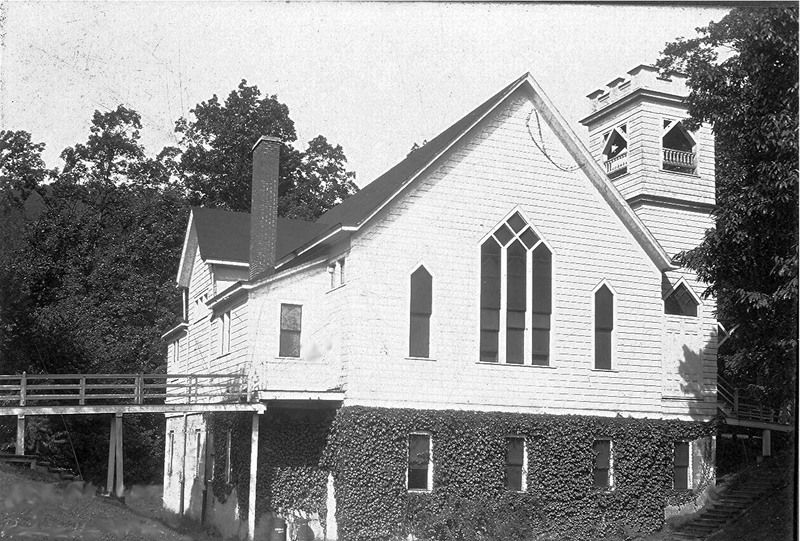 A 1950S PICTURE OF THE RAINELLE METHODIST CHURCH WHEN IT HAD THE WALKWAY TO THE LEFT AND IVY ALL OVER THE BASEMENT AREA. 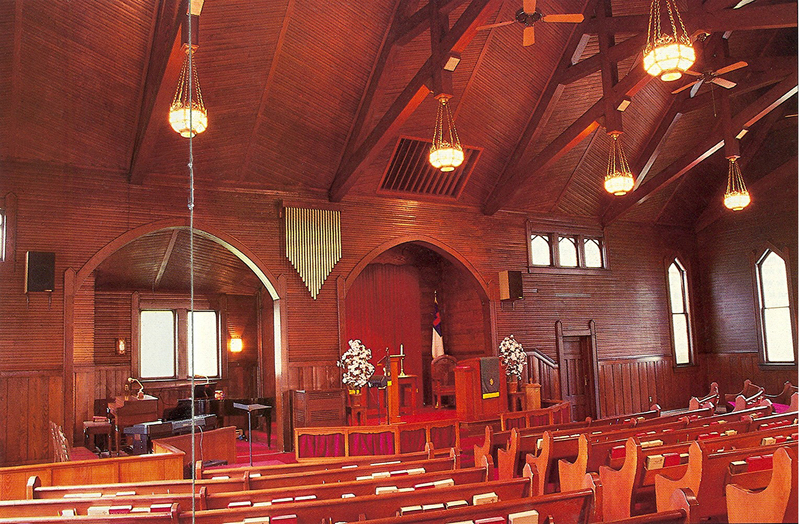 RON FLESHMAN TOLD GERRY THAT THIS IS THE ONLY CHURCH KNOWN MADE OF CHESNUT, HOWEVER, THE CHESTNUT HAD TO BE SUBSTITUTED WHERE FIRE DAMAGE OCCURRED. FORTUNATELY, THE MAIN SACTUARY, WHERE THE CHESTNUT IS MOST NOTICEABLE, WAS NOT DAMAGED BY THE FIRE. 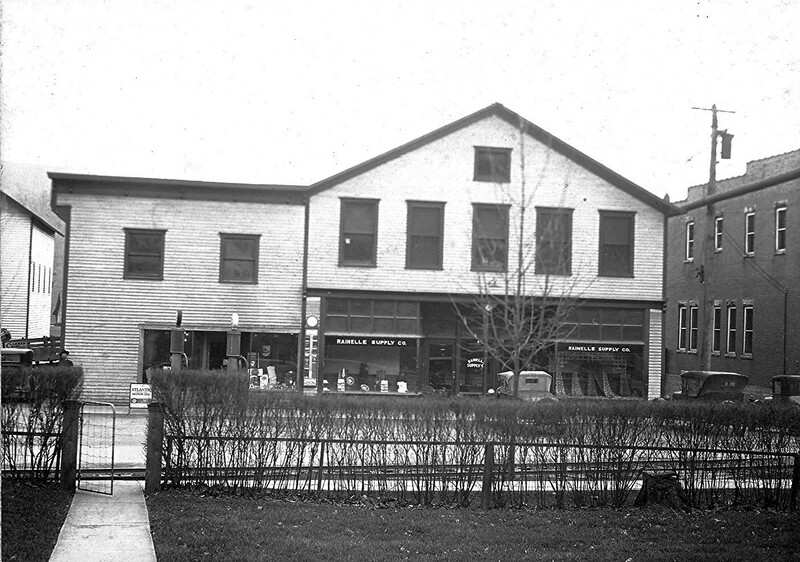 A 1920S PICTURE OF THE RAINELLE DEPT STORE (RAINELLE SUPPLY CO THEN WITHOUT THE GROCERY ON IT). YOU CAN SEE THE GAS PUMPS OUT IN FRONT. I DID NOT KNOW THEY HAD GAS PUMPS IN FRONT. I THOUGHT THEY WERE ON THE SIDE. LOOK AT THE STYLE OF THE GAS PUMPS. 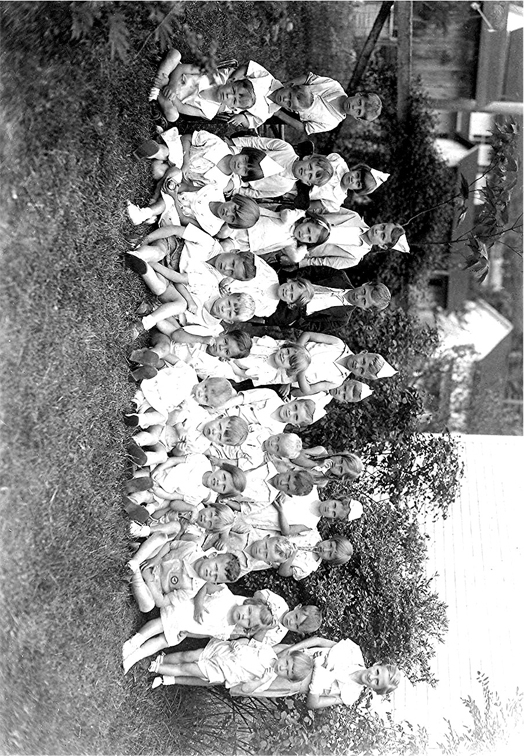 7-15-06 - Photo taken in 1916, Forwarded by Evelyn Utterback Drake. Teacher Amy Brown is identified. 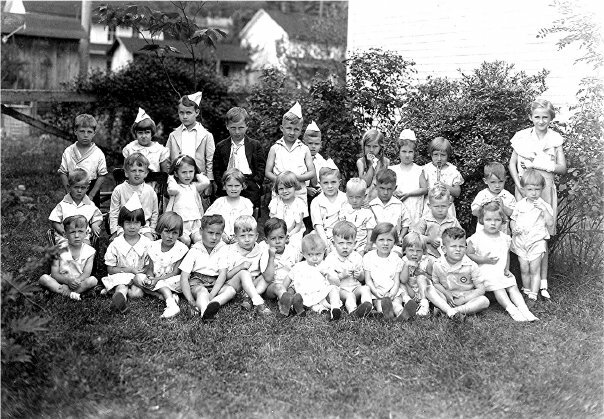 Please let us know if you know any of the others in the photo. 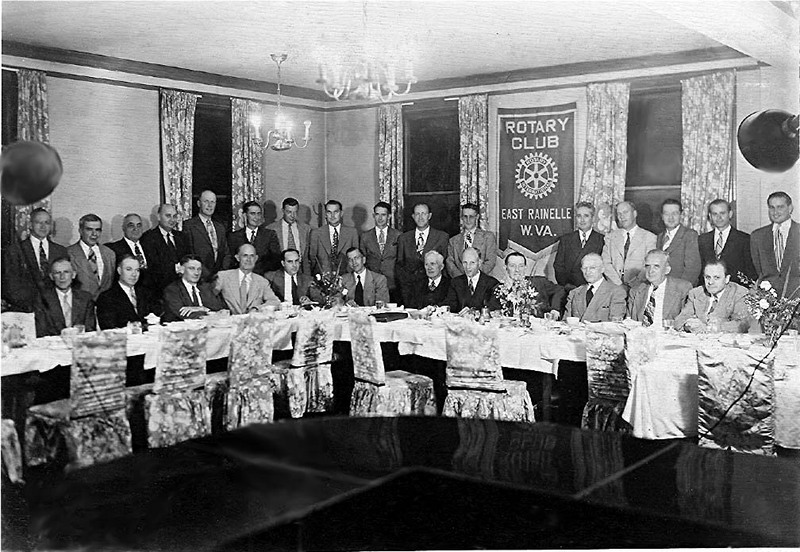 7-22-06 - 1934 Photo of Jimmy Hammer party submitted by Norma Walker Zopp (send names if you know any of the attendees.) A Text Description. A Small Horizontal Printable Version and a Larger Vertical Version 7" x 10.5". 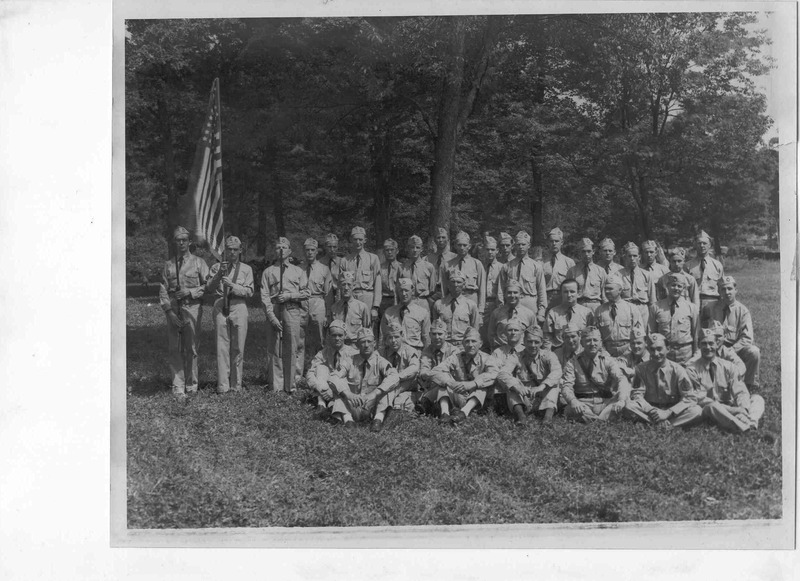 8-19-06 Photo of the Rainelle Home Guard Probably Taken In The Early 40's - Submitted by J.L. Holsberry. 4) Dr. Cales & Others at Raine House Before Repairs KG PW Historical Photos Continued..
8-21-06 Wonderful photos submitted by Bobby Ayers II - several show historic location views compared to the current view. 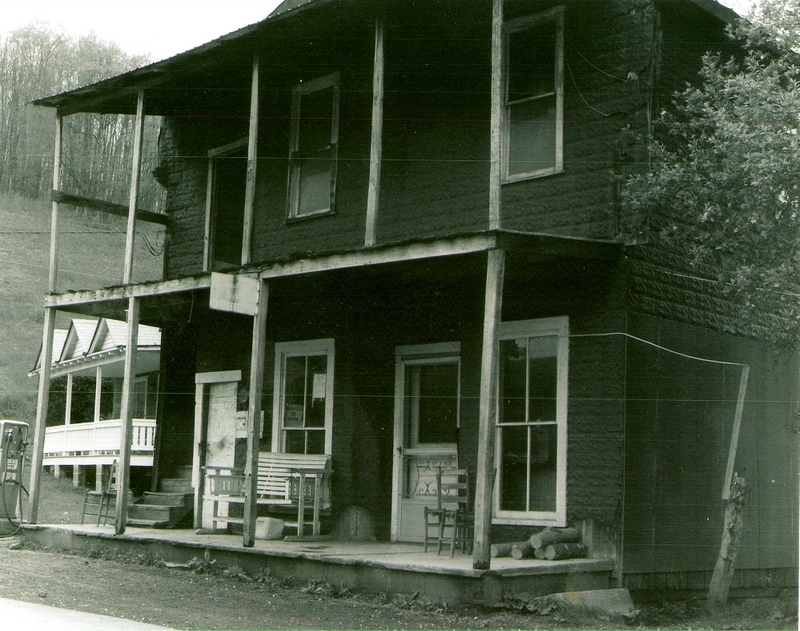 Greenbrier Ghost photos & others are included. 9-17-06 East Rainelle Rotary Club & Three Children sent by Janet Estep. 11-18-06 Fred Young / Jennis Studio Photos (Please check back - several hundred photos are in process) - A slideshow of photos that include some of the Young's and a variety of Babcock State Park, Hawks' Nest and Rainelle photos. 11-20-06 Ten Jennis photos sent by Bob Young. They include ball teams, Benny Napier's boy scout troop, a parade float, a carnival and others. 11-20-06 An excellent collection of Jennis Studio photos sent by Fred Young. We will add additional photos over the next few weeks. 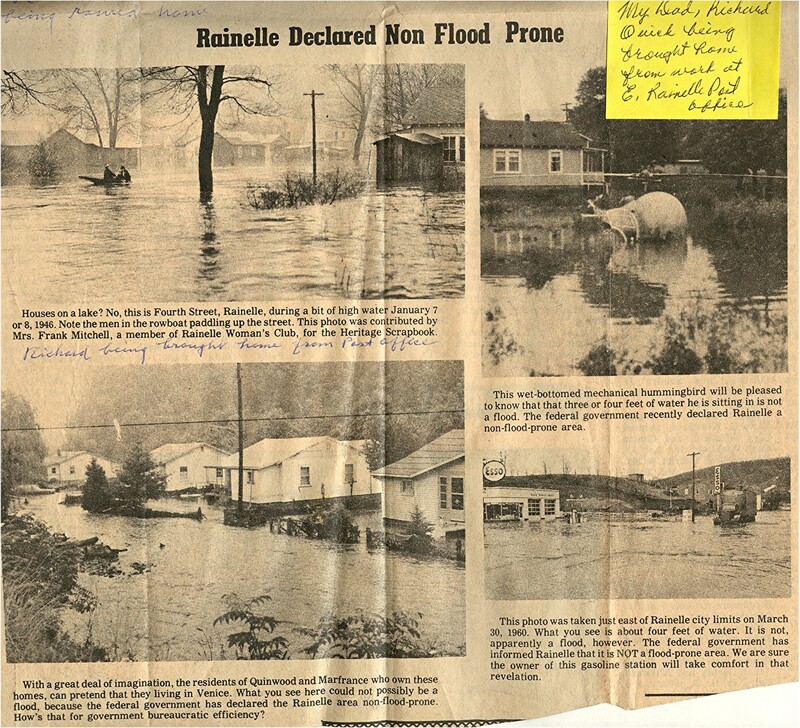 12-01-06 Six historic photos from the 20's to 40's of Rainelle & E. Rainelle sent by Gerry Mitchell. 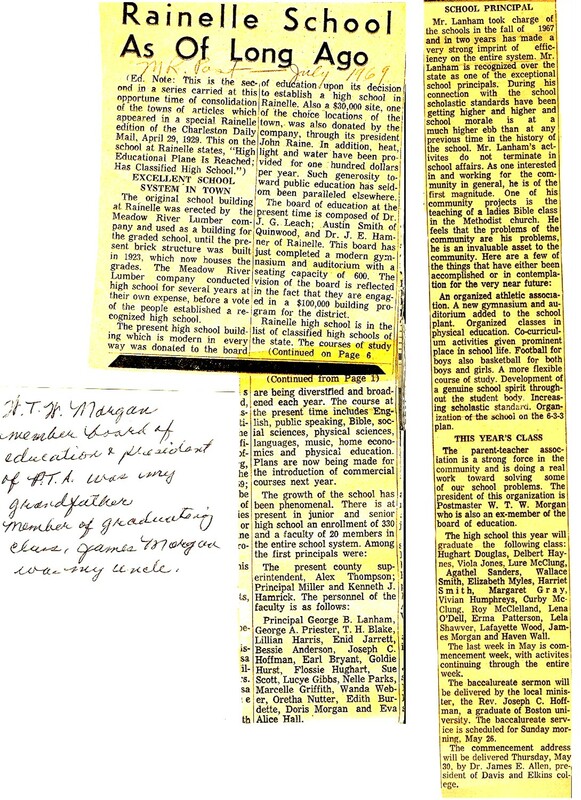 See the discussion board for a description. 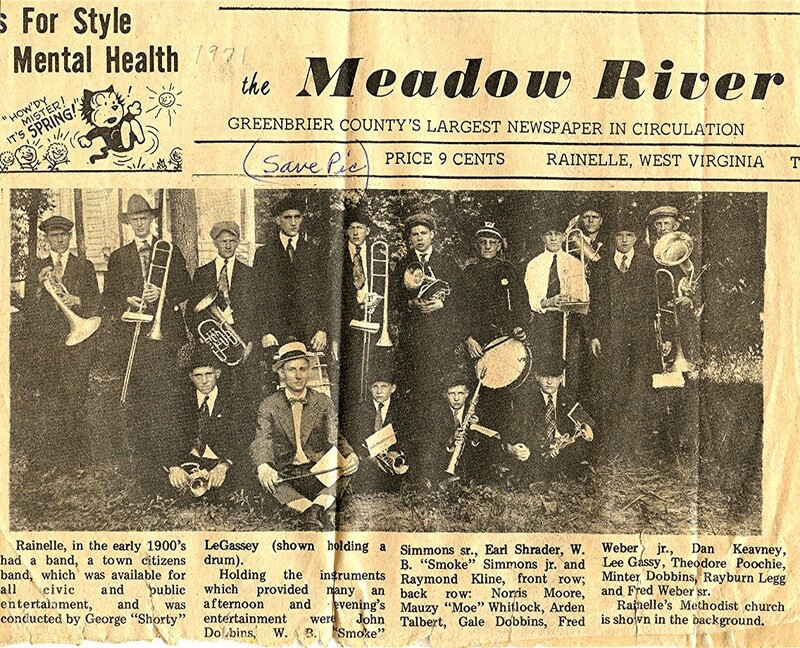 12-30-06 - Early pre and evolving history of Western Greenbrier County. 1-5-07 - Early Rainelle photos including the Raine mansion, Gray home & others. 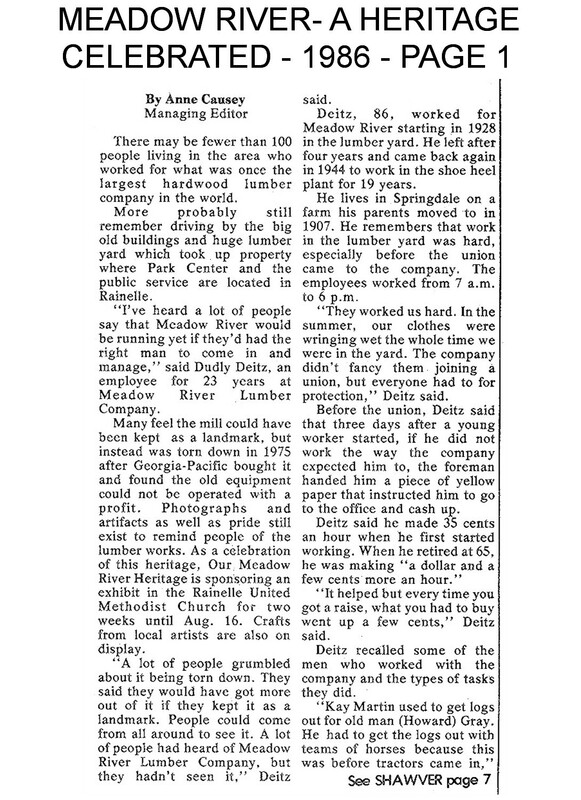 1-19-07 - Newspaper clippings that include photos and text about Rainelle landmarks. 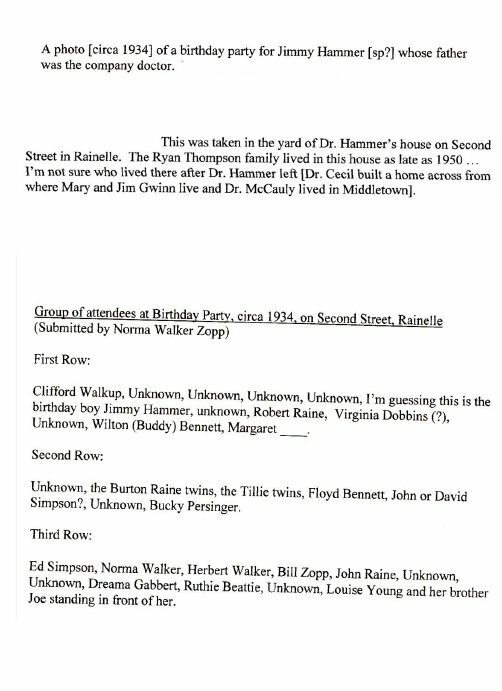 They include Pioneer Hotel, formerly the Rainelle Theatre; Aide's store; East Rainelle Hospital / Flint's store / the bus station and more... See the discussion board for additional historical Rainelle links. 1-27-07 - Articles are posted about Wallace & Wallace and the Purity Maid Baking Company - all thanks to Gerry Mitchell's scanning & sending them. 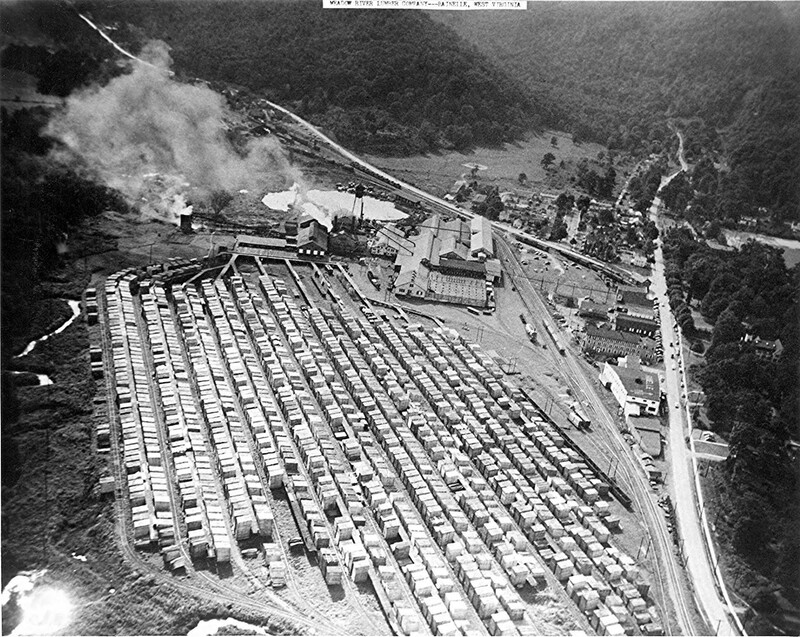 1-31-07 - Clear Creek Coal article and photos scanned & sent by Gerry Mitchell. 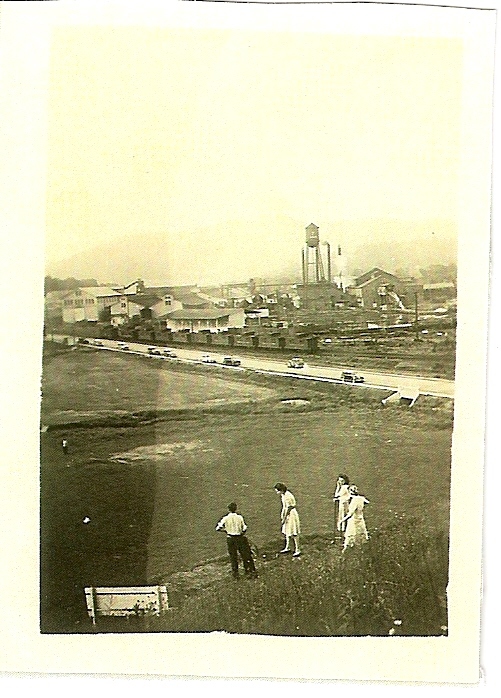 2-18-07 - 1951 Ranger Football Schedule, 1942 Postcard offering Lilly Park lots for sale for $10 down, $5 per month and the back of the postcard showing a photo of the Lilly Park before it was developed - submitted by Mike Goddard. 2-19-07 - J.L. 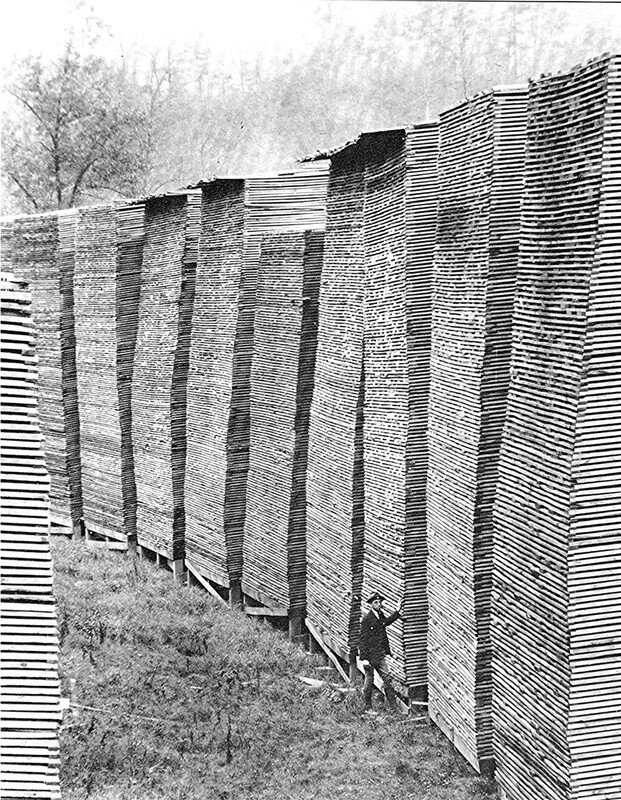 Hosberry sent some interesting historical photos. 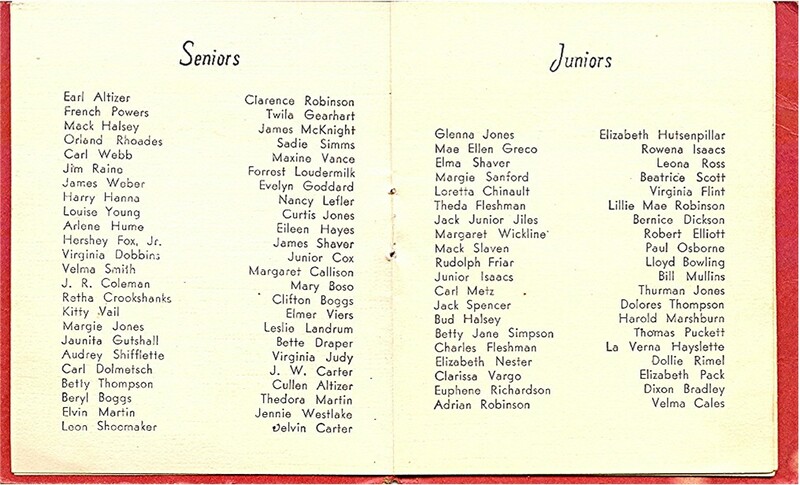 One was his mother's (Leone Beattie (Holsberry)) 1928 high school diploma). Another is a 1930 Rainelle Class and another is a 1932-33 class. 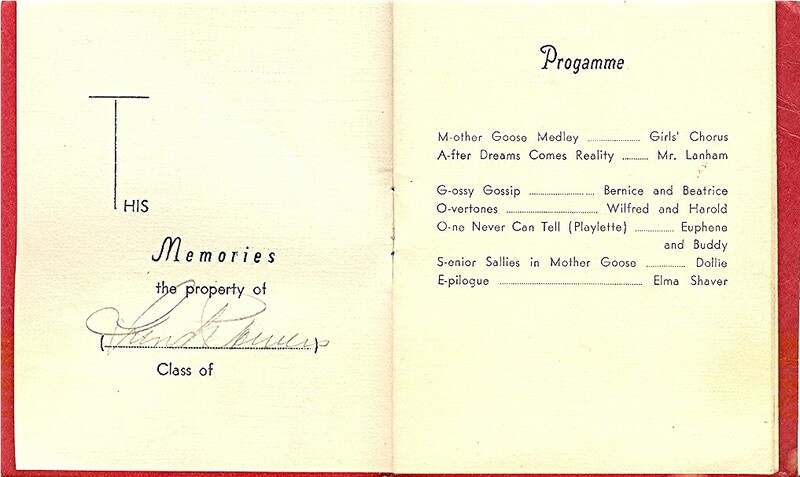 The signature on the back of the class pictures was Helen Lanham's. 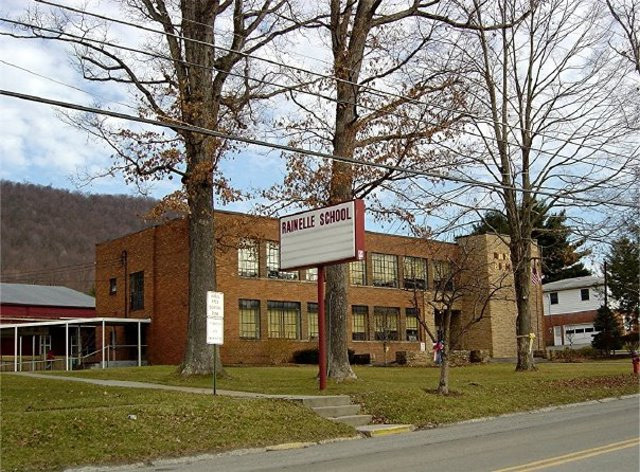 She was either the principal George Lanham's daughter or wife who taught at Rainelle. 2-28-07 - THE "MOTOR" TROLLEY CAR OF THE N F AND G With article by Mike McQuain, photos by Ruth Osborne and enhancement by Gerry Mitchell. 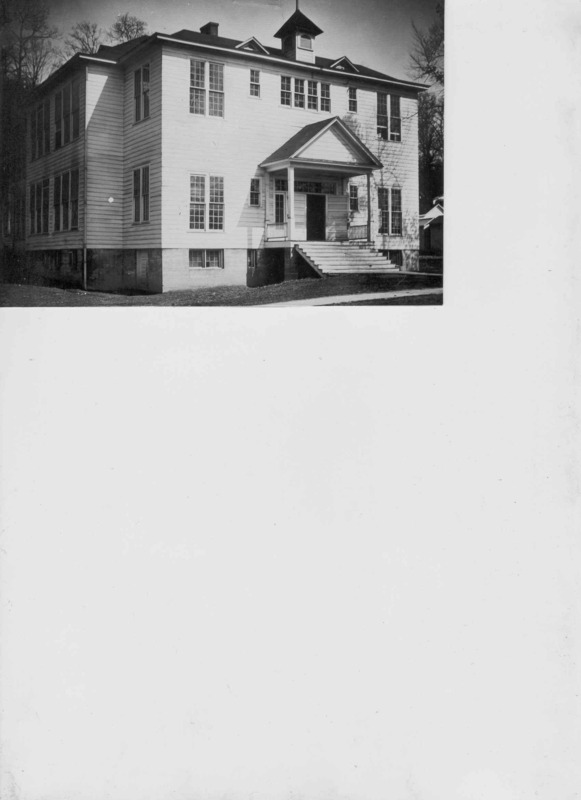 3-02-07 - The Walker Furniture Store and its history, put together and scanned by Gerry Mitchell. 3-21-07 - Rainelle Airport - The Way It Used to Be. A great article & photos about the airport and popular restaurant. Scanned by Gerry Mitchell. 3-9-08 - A collection of old gas stations from the 30's, 40's and 50's. For a refresher on what it was like in 1941, see Betty June Altizer's poem, "We've Got To Whip The Japs" as well as Peggy Levisay's "My America" and the page, "For The Service Of Our Country". 2006 by Gerry Mitchell - Kodak - Updated 2-17-07 - This slideshow will be constantly updated with new Rainelle information. 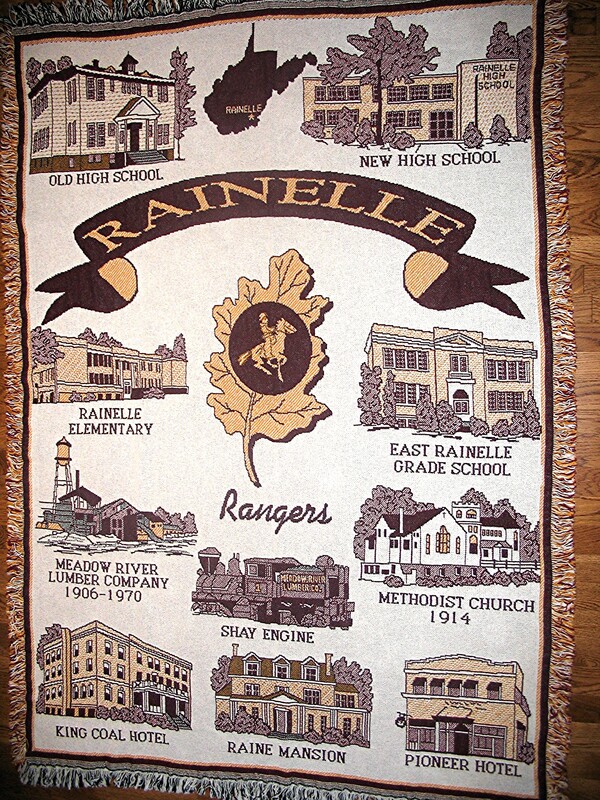 It now has more than 150 photos of Rainelle today! Update: 8-19-07 Approximately 50 additional photos added - taken by Dale and Andy, enhanced by Gerry. 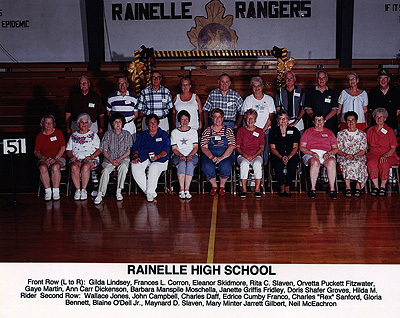 Photos of Rainelle School in 2006 and some individuals by Andy Aide Pendleton. 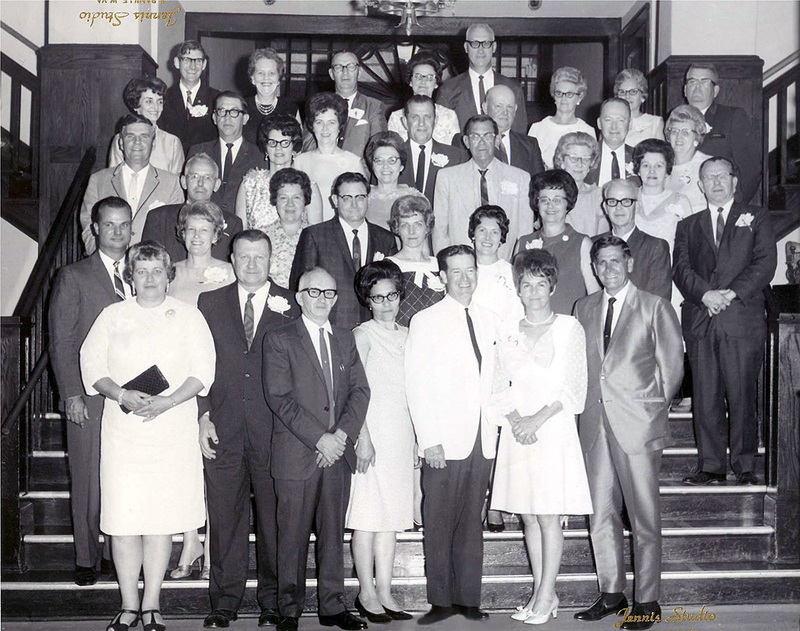 Photos by Harold Viers - Class of 60 (Impressive!) - See the Discussion Board for more info. A cold snowy walking day Susie Weber Minturn '61 and Andy Aide Pendleton '64 ventured out to find updates for the discussion board. Please see the Discussion Board for photos & comments on the Aides' family, the Mitchell's and others, plus see the Classes pages for small group photos. Andy Aide Pendleton has submitted some very nice WV State Fair photos. 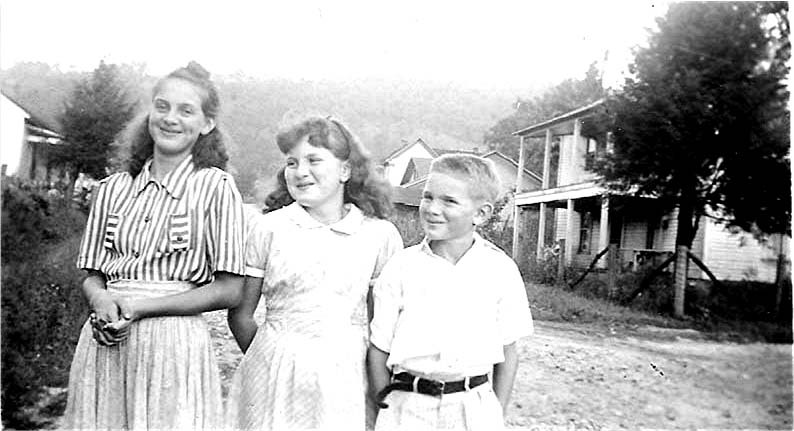 Fair scenery and Governor and Ms. Manchin are pictured. Gerry Mitchell sent some photos of primarily Massey Ferguson tractors of the 1940, 1950 and 1960 vintage. Before & after photos of Rainelle Parks areas by Andy Aide Pendleton. 10-16-07 Some nice fall photos of a walk taken from Rainelle to Sam Black by Andy and Susie. 6-17-08 - LZ Rainelle Moving Wall Celebration For 2008. J.W. Puckett is heavily involved in the celebration. Gerry Mitchell enhanced some of the photos and forwarded 145 LZ photos to us. For more about our over-90 classmates, see the discussion board. 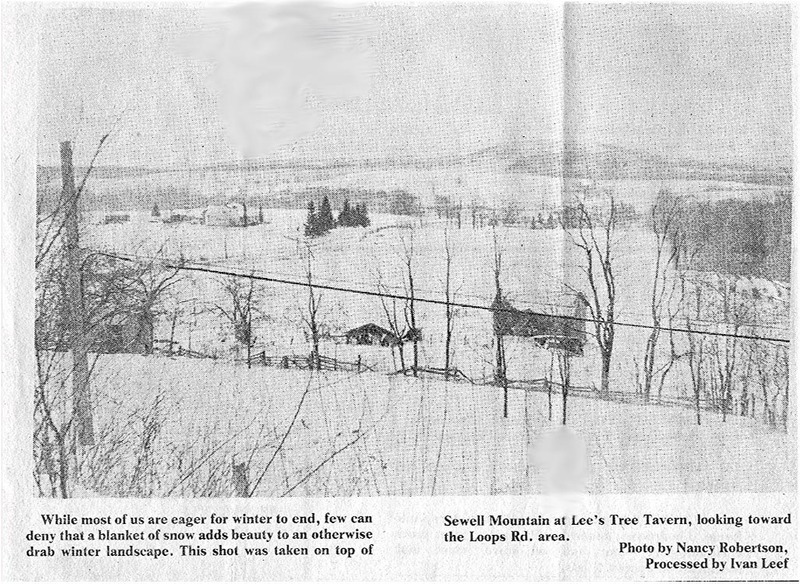 3-10-07 - Green Bank, WV telescopes - The world's window to the universe - articles and pictures scanned and prepared by Gerry. 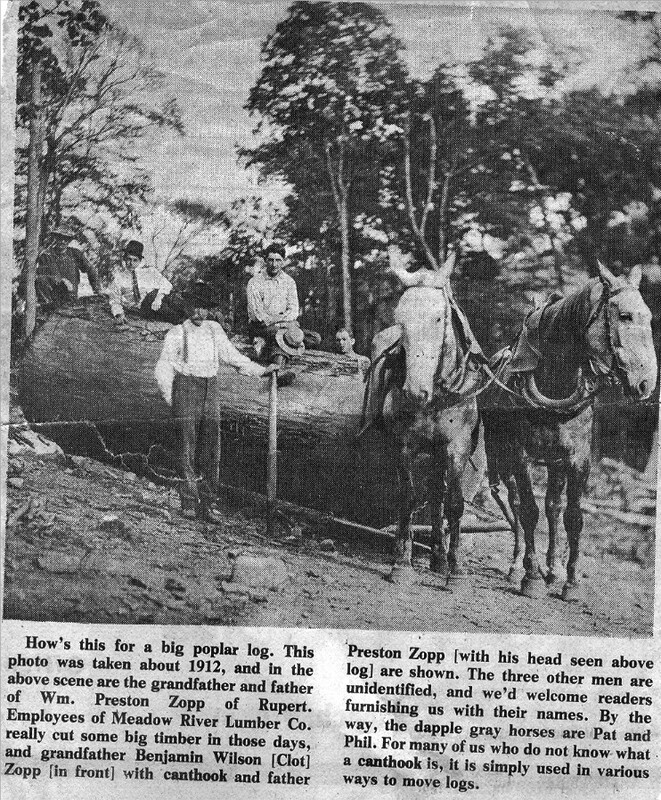 9-08-07 - The Greenbrier Hotel Bomb Shelter - newspaper article scanned by Gerry. 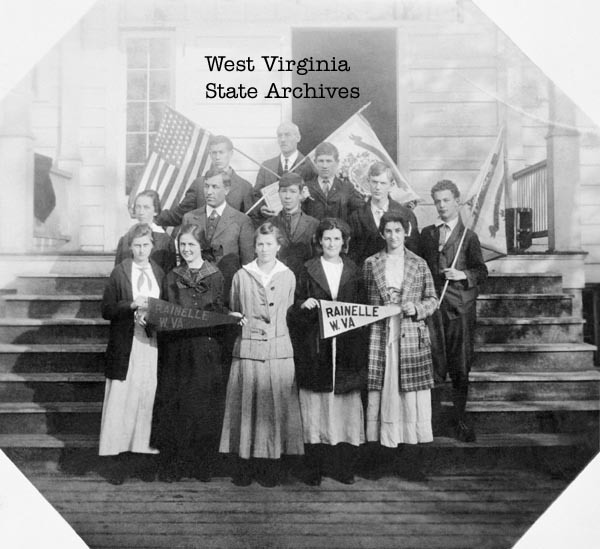 Special thanks go to Virginia Meadows for her diligence and great work in taking and cataloguing reunion photos and booklets and to the Reunion Committee (partially pictured) and Class Contact individuals for their work. If you have digital photos to share, please upload them to www.photoworks.com or www.kodakgallery.com, "share" the link with us (dale.tincher@rainellereunion.com) and we will post the link. The advantage of these services is that you can retain your photos while making them available for others to view, save or order prints. If that is not possible, please e-mail the photo or contact me (Dale) and we will work out a way to get the photos on the site.